The success of the Cleopatra’s Secret is that it treats your lack of passion in a holistic way. Its not just a hormone problem, but a complex web of brain chemicals, hormones, energy and vitality. Cleopatra was a beautiful, sensual woman who wooed great men including her most famous lover, the roman general Mark Anthony. She certainly knew what would make her passion sing with Ancient Egyptian herbs, exotic Eastern spices and daily beauty rituals such as bathing in milk and honey. Cleopatra’s Secret is designed to tackle all of these issues and bring you back to the way you used to feel – vital, fresh and re-energised. So we’re going to channel your inner goddess to bring Cleopatra to life again in you. We tackle lack of passion, fatigue, lethargy, hormone issues and stress and anxiety. Its all based on the science of what we know and how it works without medication, pills, potions or powders. Who is the Cleopatra’s Secret for? This is for any woman, whatever age, who feels that the life has gone out of her love life. You don’t need to spend countless hours in the gym getting fit or take hormones that you don’t really want to take. Its all healthy and natural. Who is Dr Shirley MD? 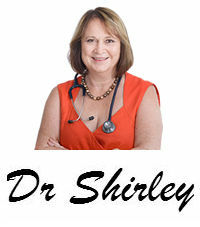 Dr Shirley MD is a Medical Doctor and Professor, who runs health and nutritional programs for various common health problems. She is an expert in women’s health and mental health problems, international author of many books and is head of the International Association of Health and Nutrition Coaches. She has appeared on TV, in print media and regularly does speaking engagements at workshops and other public venues. Her aim is to help women understand and take back control of their health as naturally as possible. What are the typical results for Cleopatra’s Secret? As a doctor, Dr Shirley MD is not allowed to release any testimonials, however the feedback she has been getting from patients is such that she firmly believes most people will achieve an improvement in their energy and passion within 21 days. The evidence from the many, many women she has helped is that this system works and is the best natural approach. That’s an easy one. If you are not completely satisfied with this Cleopatra’s Secret or your experience for any reason whatsoever, simply send us an email or call us on 1300 958 480 within 60 calendar days of purchase and we will issue a no -questions asked refund. If you received any books, you may simply return the product anytime within the 60 days of your purchase and you’ll receive a full, no questions asked refund (less shipping and handling). This offer will only run until our limited supply of books runs out. Our best advice is to take advantage of the guaranteed copies of all the information while stocks last. What support resources do you offer Cleopatra’s Secret clients? We offer full customer support via our email help desk at info@drshirleymd.com. You can also book a telephone or Skype consult with Dr Shirley MD, if you want further information or testing. With Dr Shirley MD’s team, we never want you to feel alone and we do everything we can to make sure you’re fully supported every step of the way. How do I know it’s safe or use my credit card or give you my details? We value your privacy and will never pass on your details to any third party. We also have security safeguards in place to protect your data and private information. You can even use PayPal to complete your transaction. If you wish to unsubscribe we will remove all your details from our database on request.